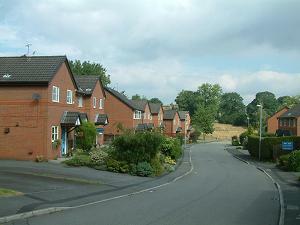 Modern houses in red brick in a cul de sac with a close sharing the name. Grassy public space adjacent. Named after the late Dr John Coope MBE.